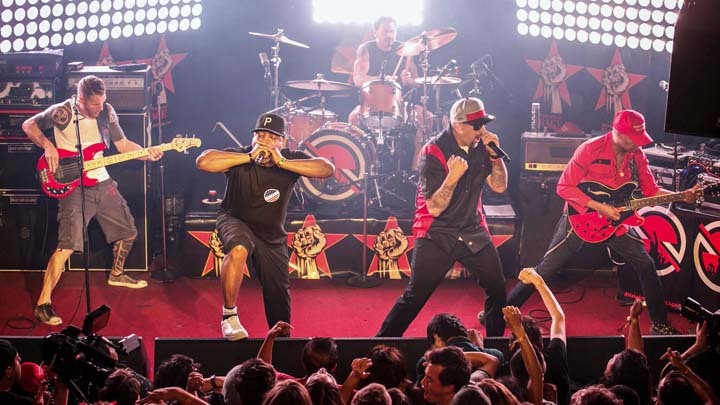 The Tunespeak Win a Signed Guitar from Prophets of Rage Sweepstakes is open onyl to legal residents of the 50 United States, District of Columbia, or Canada (excluding Quebec), thirteen (13) years of age or older. The Tunespeak Win a Signed Guitar from Prophets of Rage Sweepstakes ends at 10:00 AM Central Time (“CT”) on November 06. During the Sweepstakes Period, visit the Tunespeak Contest Page at tunespeak.com/campaign/5984c9361d96c535cf0006cd and login to Tunespeak via the Facebook app. Follow the instructions and perform various interactions on the Website to earn entries. 1st Prize (1). One (1) 1st Prize winner will receive One (1) Black Epiphone Les Paul 100 Electric Guitar signed by Prophets of Rage. ARV: $500.00 each/$618.85 CDN. Total ARV of all prizes: $500.00/$618.85 CDN.